The journey continues — and the hardware keeps piling up — for Best A Luck Farm LLC, the Florida-based breeders responsible for the Pennsylvania-bred Shamrock Rose. First, the daughter of First Dude finished 2018 with four consecutive wins, the last of which came in the Grade 1 Breeders’ Cup Filly and Mare Sprint. Then she was named the Eclipse Award winner as champion female sprinter. And now she’s been named the best horse bred in the Mid-Atlantic in the final Mid-Atlantic Thoroughbred/The Racing Biz Top Midlantic-bred Poll. Shamrock Rose’s late-season heroics, which also included a win in the Grade 2 Raven Run at Keeneland and two minor stakes wins, enabled her to leapfrog multiple Grade 1 winner Unique Bella, who finished second. Those two Pennsylvania-bred fillies were clearly ahead of all other runners in the voting. “It’s been really special, and a privilege,” said Lori Fackler, who with her husband Thomas owns and operates Best A Luck Farm. Best A Luck sold Shamrock Rose for $120,000 at the 2017 OBS April two-year-old sale to Conrad Farms, which campaigns the now-four-year-old. She is trained by Mark Casse. Though Best A Luck is located in Florida, as is First Dude, Shamrock Rose’s sire, the Facklers chose to have her foaled at Horseshoe Valley Equine Center in Annville, PA.
Oddly enough, however, Shamrock Rose has made only a single start in her home state. She won the Malvern Rose Stakes this past August at Presque Isle Downs versus state-bred sophomore fillies, the win that jumpstarted her late-season win streak. Shamrock Rose, out of the unraced Elusive Quality mare Slew’s Quality, concluded 2018 with four wins from seven starts for the year and earnings of $848,076. She is five-for-11 in her career with more than $920,000 in the bank. Shamrock Rose narrowly edged her fellow PA-bred — and fellow Eclipse Award winner — Unique Bella for the overall top spot in the poll. That runner won a pair of Grade 1 events in 2018 before ending her season following a win in the Grade 1 Clement L. Hirsch Stakes July 29. She earned the Eclipse Award for older dirt female. They were followed by Spring Quality (PA), Knicks Go (MD), Still Having Fun (MD), Late Night Pow Wow (WV), and Blamed (MD). 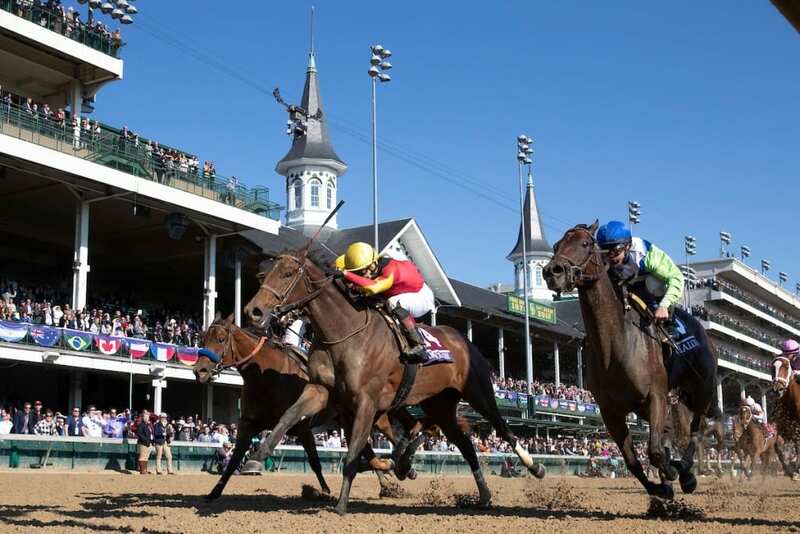 In a strong year in the region, three of the top seven were Eclipse Award finalists. In addition to Shamrock Rose and Unique Bella, the Maryland-bred juvenile Knicks Go was a finalist for top two-year-old honors after a season in which he won a Grade 1 event and ran second in the Breeders’ Cup Juvenile. Of the seven horses in the poll, three were bred in Pennsylvania, and three were bred in Maryland. One West Virginia-bred rounded out the group. Of the top seven, four were females and three were males. The poll is conducted of media members and others involved in the Thoroughbred industry and restricted to horses that ran in 2018 and were bred in Pennsylvania, Maryland, Virginia, West Virginia, New Jersey, Delaware, and the Carolinas. Note: Horse ages are their ages as of the end of 2018, not their current ages.